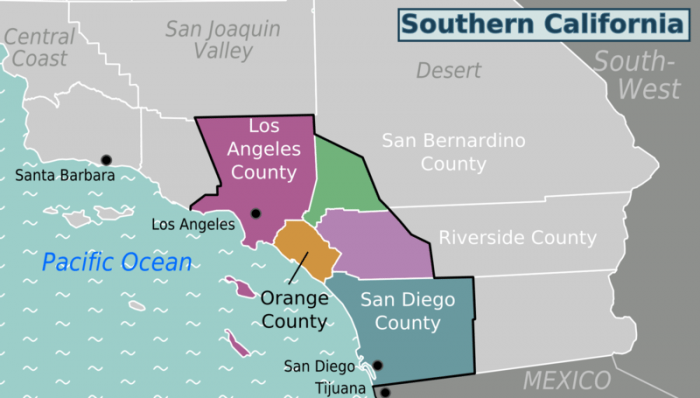 The map of California cities gives you a sense of just how expansive California is, from San Diego in the south to San Francisco in the middle to Crescent City in the north. California is a large state with many unique and fascinating cities. 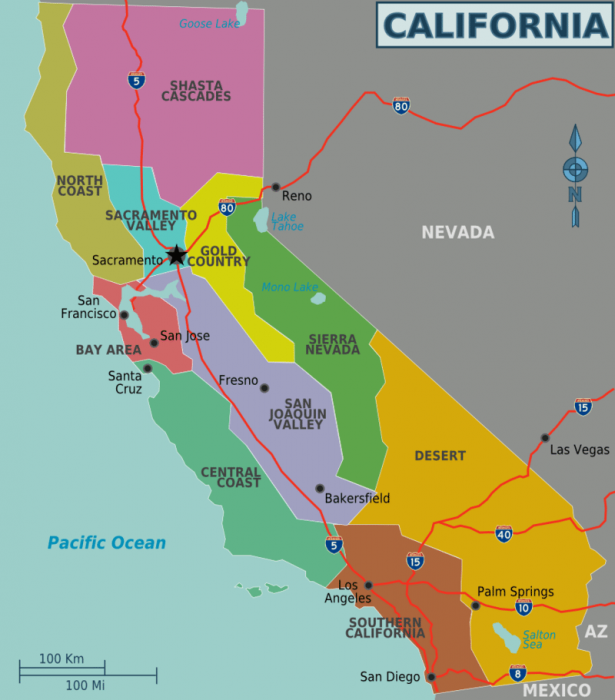 What follows is a map of California with facts about its major cities and regions. Los Angeles is one of the longest and shortest city names in the world. Los Angeles is frequently just called LA but its original name was actually “El Pueblo de Nuestra Senora Reina de los Angeles sobre el Rio Porciuncula”. Which translates from Spanish as “The Town of Our Lady Queen of the Angels on the Porciuncula River”. The city is home to mild weather most of the year round and has a population of approximately 4 million. It is the home of Hollywood, where many famous TV shows and movies are produced. The world-famous Hollywood sign read “Hollywoodland” when it was originally created. In 1892 a large deposit of oil was discovered in the region of Los Angeles that is now occupied by Dodger Stadium. In fact, Los Angeles once produced almost a quarter of the world’s total oil back in 1923. The city still sits upon one of the biggest oil fields in the nation. In 2006 a tar pit was discovered in the city, which had the remains of saber-tooth tigers, giant sloths, and even a mammoth. San Diego is located approximately 120 miles to the south of Los Angeles, and it sits right on the border of Mexico and the United States. San Diego is not only the second largest city in the state of California but also the eighth largest city in the entire United States with an estimated population of about 1.4 million people. San Diego is a large agricultural city with over 7000 farms, many of which produce avocados. San Diego actually produces more avocados than any other city in the entire United States. The economy of San Diego relies heavily on military and defense projects, international trade, and tourism. Many movies and TV shows have been filmed in San Diego including The Lost World: Jurassic Park, Paranormal Activity, and Top Gun. San Diego is also home to the international San Diego Comic-Con, a massive event for comics and other forms of pop-culture media. San Jose has a population of slightly more than 1 million people, and it was originally the capital of California when the state officially earned state court in 1850. San Jose is an important tech center, heavily involved in the creation of both hardware and software. During the 1990s, the city’s rapid growth and importance in the technology industry gave the city the reputation of being the capital of Silicon Valley. San Jose is currently host to many different computer and software companies like Cisco and Adobe. San Jose is host to one of California’s few remaining Japantowns, as well as five Chinatowns. San Francisco is home to approximately 875,000 people, and known for its steep hills, unique architecture, beauty, and food. The San Francisco Bay surrounds the city with water on three sides, making the city a peninsula. The city is home to many unique and famous landmarks, like Coit Tower, the Palace of Fine Arts, Alcatraz Island, and the Golden Gate Bridge. San Francisco is densely populated, being the most densely populated urban center in America after New York City. San Francisco is also home to a large Asian American population and LGBTQ community. Irish coffee is likely an invention of the San Francisco Bay area. San Francisco was the location of many important historical events, such as the drafting and ratification of the United Nations charter. Fresno, California is found in the middle of the San Joaquin Valley. It is one of the major agricultural centers of the United States, and of the entire world. Fresno has a population of about half 1 million people and is close to different national parks including the Sequoia National Park and Yosemite National Park. Though most of California’s large cities are built on the ocean, Fresno is California’s largest inland city. Fresno was once part of Mexico, being a region of the country initially claimed by Spain and then Mexico after the country gained its independence. Fresno County ended up joining the United States after the events of the Mexican war in 1846. Sacramento, California has functioned as the state capital since 1854. It is home to approximately 490,000 people. Sacramento played an important role in the California Gold Rush and functioned as a major distribution center for mail brought by the pony express. The city straddles the American River, and gold was initially discovered in the river during the 19th century. Sacramento is known for its theater arts program, and it’s museums. Sacramento is home to the oldest public art museum in the western half of the country, the Crocker Art Museum. Famous landmarks in the city include Capital Park, the Tower Bridge, and Sutter’s Fort. Sacramento’s nickname is “the city of trees”, and the city allegedly has more trees per capita than any other city on the globe. Oakland is a major port for California and the West Coast. The city is home to many companies like Clorox and Dryers. Notable landmarks for the city include the Oakland Museum of California, the East Bay Regional Park District, Lake Merritt, and the Chabot Space and Science Center. Oakland is home to approximately 480,000 people, and the city’s economy depends largely on trade and tourism. The Tribune Tower is located in Oakland. 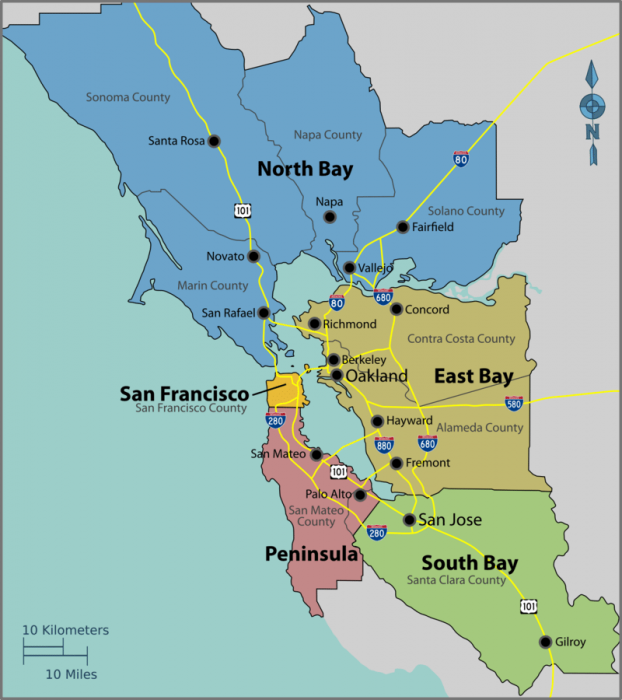 Oakland also has the only natural salt water like within this city limits in the United States. It’s often claimed that Oakland is also the birthplace of the neologism “hella”. Bakersfield can be found at Southern of California’s San Joaquin Valley. The Bakersfield area is rich in petroleum and is home to approximately 375,000 people. Bakersfield gave rise to its own genre of country music known as the “Bakersfield sound”. This genre of music was pioneered by musicians like Merle Haggard, Buck Owens, and Billy Mize. Beyond that Bakersfield is known for its historic restaurants and museums. The Kern County Museum is located in Bakersfield. Previous Post« Previous What Do Grasshoppers Eat?